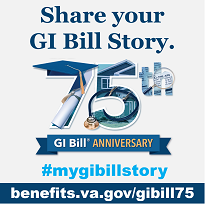 The Veterans Benefits Administration (VBA) Office of Performance Analysis and Integrity provides real-time status updates and other information on the claims and backlog inventory so you can track our performance in serving those who've served our nation. Claims pending for 125-plus days are considered "backlog." VA’s claims inventory contains first-time disability claims submitted by any Veteran ("original" claims) and those submitted by Veterans who previously filed for VA disability compensation ("supplemental" claims). Learn what's behind the claims inventory–claims by Veteran era of service, the difference between original and supplemental claims, and more. Get full copies of all our annual performance reports, which outline our performance targets, results, and strategy to achieve and maintain high-quality service for our nation's Veterans, their families and survivors. The Monday Morning Workload Report provides access to latest data on claims inventories. Track how quickly we’re processing Compensation, Pension, and Education claims on a weekly basis with these regular performance reports. Get full copies of all our Annual Benefits Reports as well as the Annual Performance and Accountability Reports, which outline our performance targets, results, and strategy to achieve and maintain high-quality service for our nation’s Veterans, their families and survivors.